A sweet surprise in every box! 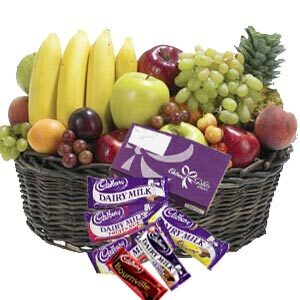 Delight your loved one with varied fresh fruits and mouthwatering assortment of Cadbury chocolates. However, you can make it extra special by opting for a premium gift wrap.